The proposals took this former 1960’s office building and converted the internal space to create 25 self contained flat units. The main body of the building was sub-divided across 5 floors making use of the existing independent stairwell and lift core. 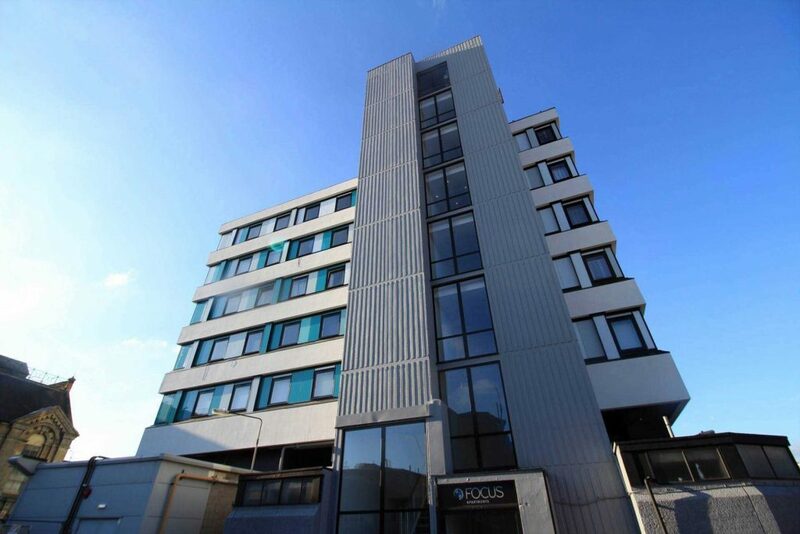 In addition to re-planning the internal spaces the exterior to the building was upgraded to provide a cleaner appearance in contrast to the former concrete panelled system. 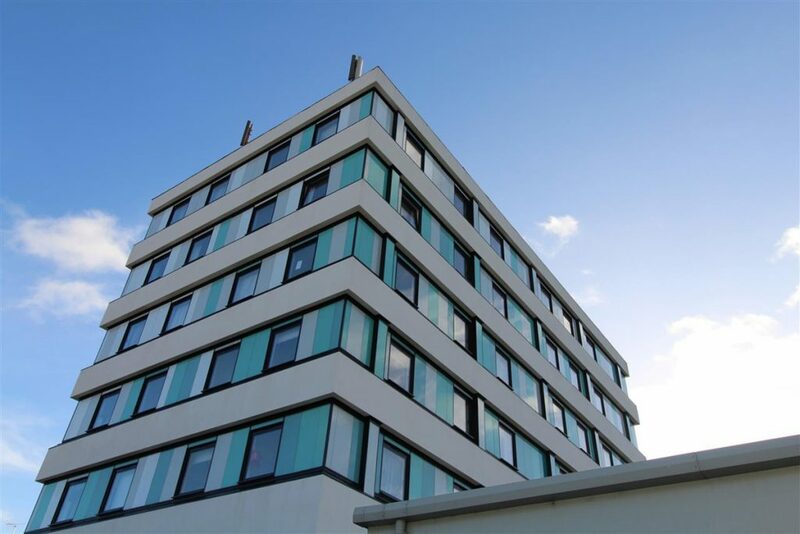 The main body of the tower has been clad with coloured glass panelling to retain the form of original recessed ribbon glazing, whilst allowing privacy where required, reflecting the new use of the building. This prominent building forms a localised focal point and the use of varying shades of blue coloured glazing picks up on changing colours within the backdrop skyline, reducing the previous impact of the stark concrete facade.